MC20 module using the latest technology developed by the multi-functional communication chip developed from. 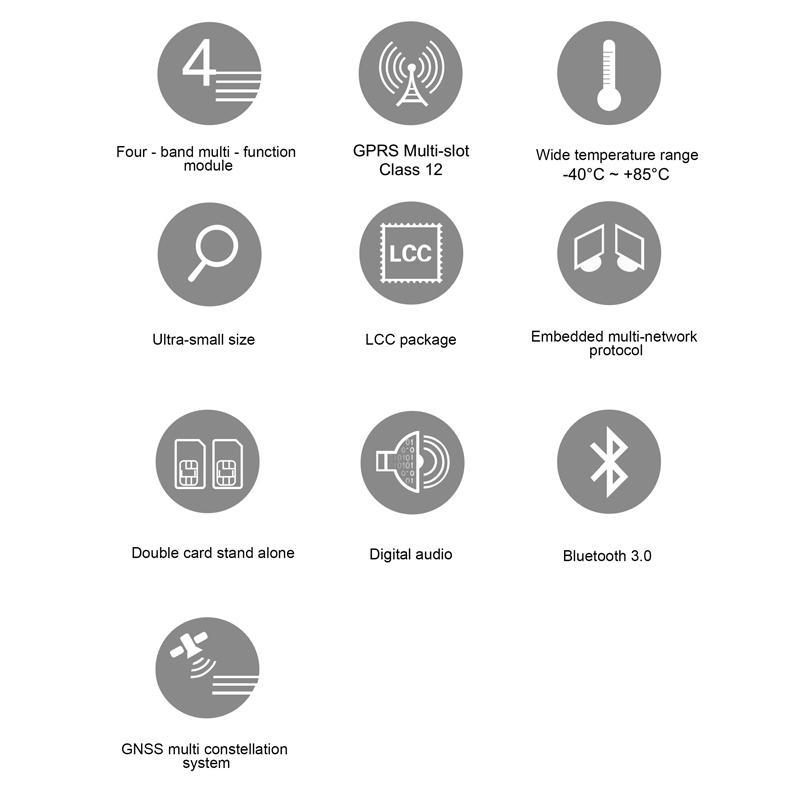 It is an integrated LCC package, quad-band GSM / GPRS and advanced algorithms GNSS engine in one of the full-featured communication module, with ultra-small size, low power consumption, dual card stand-alone and other advantages. MC20 not only embedded rich network protocols (such as TCP, UDP, PPP, FTP, HTTP and SSL *), but also integrated multi-constellation satellite systems (such as the Big Dipper, GPS, QZSS), it can provide wireless mobile communications and precision navigation Positioning function. In addition to GSM / GPRS wireless communication function, MC20 module also supports advanced GNSS technology. It integrates EPO ™ (users do not need to set up the server, directly from the MTK server to obtain EPO data), seconds and other technologies, to achieve rapid first-time positioning. Because of the support of Beidou, GPS, QZSS and other multi-constellation satellite system demodulation algorithm, its positioning more accurate, anti-multipath interference ability, than the traditional GPS module has more advantages. 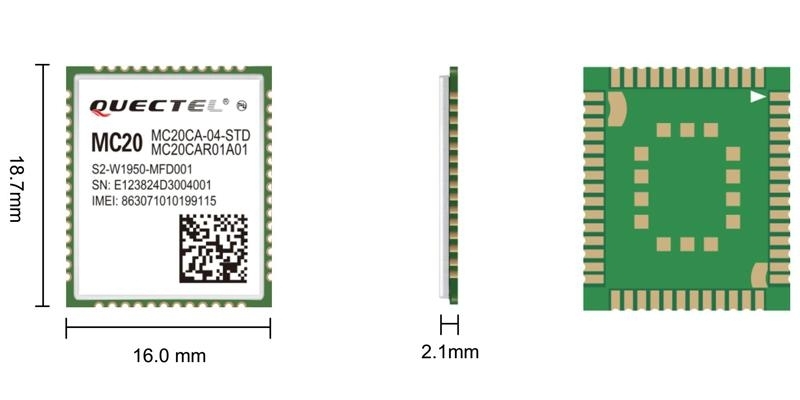 In addition, the MC20 module has a built-in LNA and low-power algorithm: the former to increase its reception sensitivity to -149dBm; the latter in low-power mode (GLP Mode) under the current consumption of only 40% of normal mode of operation. MC20 module than the traditional GSM + GNSS program to reduce the volume of 40%, so that it occupies a greater advantage in a variety of applications. Its main application areas are: wearable equipment (smart watches), pet tracking, property tracking and driving recorder and so on.